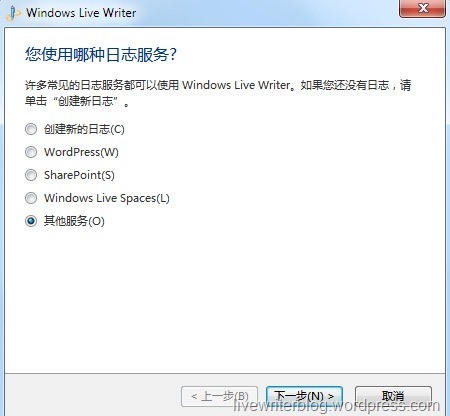 A few weeks ago it was announced that Microsoft had partnered with SINA.com in China to migrate Live Spaces to their blogging service. There is also cool integration with the sina micro-blogging service which is kind of like Twitter in the rest of the world and Live Messenger. 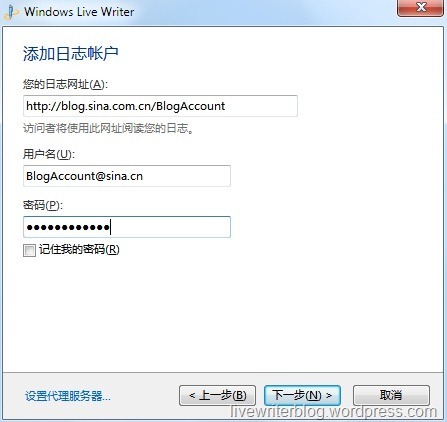 A surprise to our team was that at the same time SINA completed some work on their servers so that they could “talk” with Windows Live Writer. 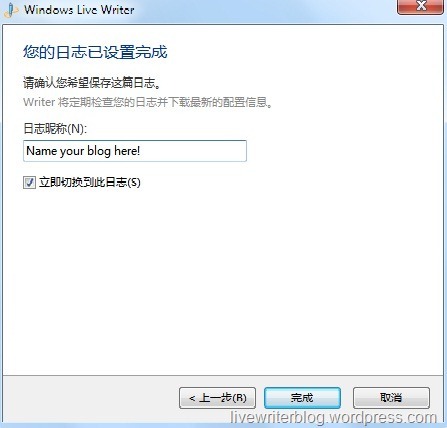 Hopefully I can find someone to do a solid translation of this blog post to Simplified Chinese but at least I can give you the pictures on how to configure your SINA blog with Windows Live Writer. When you first start Live Writer you see this dialog. From here select the “Other” option and select Next. In this dialog enter the URL for your blog on SINA. “BlogAccount” is the part of the URL that will be unique to your blog. Mostly likely your Userneame will be the same as your “BlogAccount” and you will most likely need to include “@sina.cn” as part of the Username. The Password will be your standard password you use with your sina account. You can choose to save this information so you do not have to enter it again. Next click next. You might be prompted to have your blog theme detected which you can answer Yes or No. After that the last step is to give your blog a friendly name which is only shown in the Blog accounts drop down list in Live Writer.